Bike shop is moving along. I'll move the SV out to it tomorrow. I can't wait. I'll finally have room to work on a few things and keep them locked up. 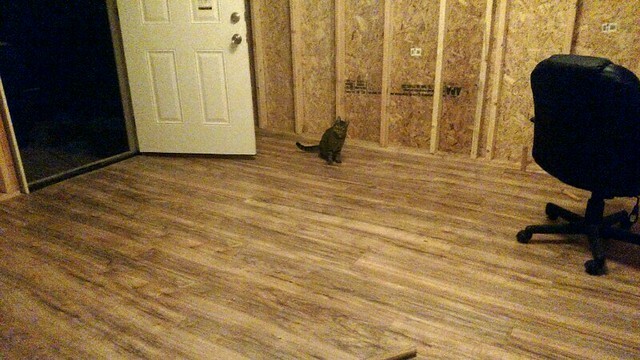 Home Depot had laminate flooring on clearance so I decided to put that in. Also as promised... My cat. Last edited by Jacobus; 23-09-17 at 11:48 AM.